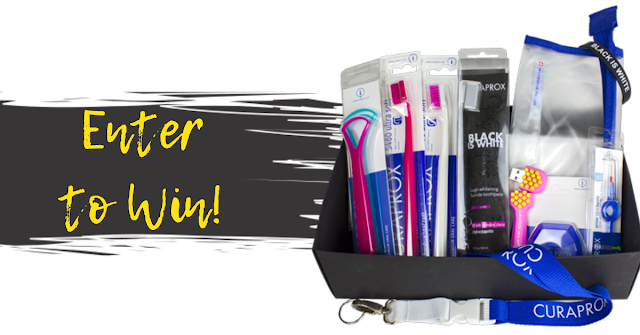 Enter for a chance at winning a Curaprox gift box valued at $95. The CURAPROX Black is White toothpaste uses Swiss premium-grade activated carbon It naturally and safely absorbs stains and toxins to offer a healthy bright smile. This is a MONTHLY giveaway so make sure to come back each month for your chance to win.